Microsoft Learning provides certifications for various skills related to Microsoft products. Using the site, IT professionals can register to take exams, review certification requirements and sign up to become certified trainers. The backend of Microsoft Learning was based on a series of complicated, outdated scripts. 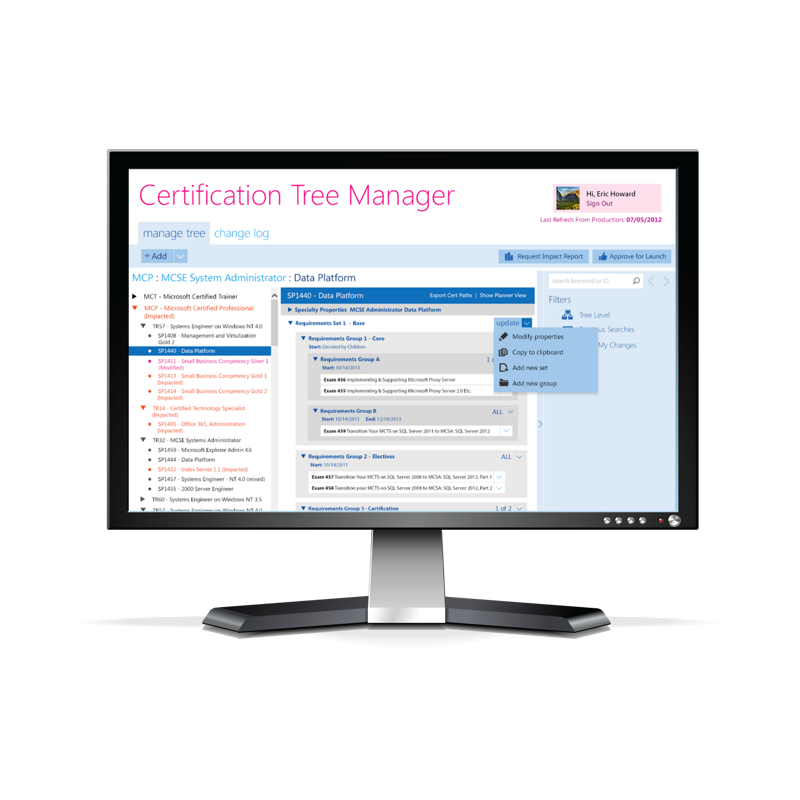 Employees running the certification programs needed a way to display requirements, related courses, and active dates. Additionally, the customer experience on the front end needed to be updated to match Microsoft’s new Metro styling. This project required an iterative process of wireframe reviews to allow for multiple agile sprints while coordinating with Microsoft’s internal team leads. The services we provided during the course of the project included information architecture, user research, and usability studies, clickable prototype production, creative direction, interactive strategy, responsive design solutions, UX Design, and wireframes.